Vintage Little Dutch Girl with Doll Drawing! Today I’m sharing this Vintage Little Dutch Girl with Doll Drawing! 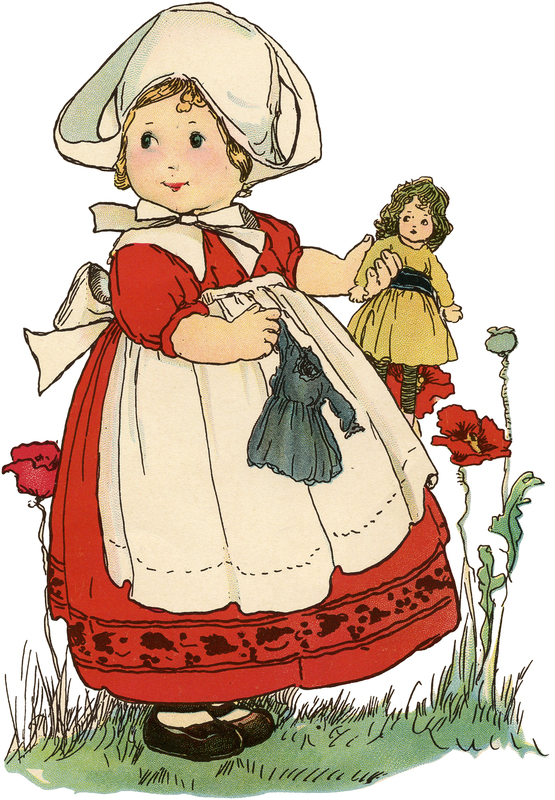 This cute little girl wears a red dress with black embroidery and a cream cap and pinafore with a big bow in back. 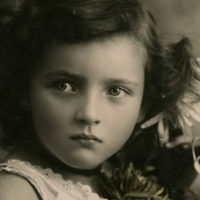 She is holding a doll in a golden dress and has a teal dress for the doll in her other hand. She is standing in grass and there are tall red flowers growing around her. So nice to use in your Craft or Collage Projects! It would make a cute Christmas Gift Tag also. « Vintage Halloween Greeting with Children Post Card! Sweet! Thanks for sharing little Dutch girl w doll!